If you have a disability, then there are a number of different benefits that you may be entitled to. One of these benefits is free cell phone service. 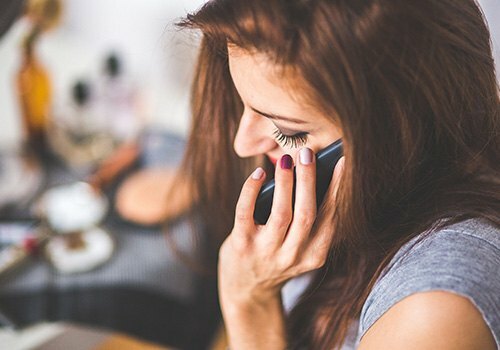 Free cell phone service can be extremely beneficial to people who are disabled because having a disability can make it extremely difficult or impossible to work and thus, pay bills. Even with Social Security disability benefits, it can still be difficult to make ends meet if you have a serious disability. Luckily, there is a government program called “Lifeline” which helps to provide people with disabilities or extremely low incomes with free or highly discounted cell phone service. In 2019, the federal poverty line for individuals in every state excluding Hawaii and Alaska is $12,490. This include the District of Columbia. For Hawaii, the federal poverty line for individuals is $14,380 and for Alaska, it is $15,600. For households, you calculate the federal poverty line by adding $4,420 to the household income for each person in all states excluding Hawaii and Alaska. For Hawaii, you add $5,080 for each additional person, and for Alaska, you add $5,530. If you are already receiving Social Security benefits, then this can automatically make you qualified for free cell phone service from lifeline. This is because if you are already receiving Social Security benefits, then the federal government knows that you have an actual disability, and that you most likely need additional assistance such as free cell phone service. The Supplemental Nutritional Assistance Program provides low-income and disabled people with nutrition and food benefits that enable them to get access to good quality food for free. Like people who are already receiving Social Security benefits, people who are already participating in the Supplemental Nutritional Assistance Program have already qualified as being low-income or disabled. So, if you are already participating in this program, then this can qualify you for free cell phone services. The Temporary Assistance for Needy Families is a welfare program that helps low-income families to get temporary financial assistance in order to help to keep their families from becoming homeless or suffering other harmful consequences during difficult periods. If you are already receiving TANF benefits, then this can automatically qualify you for free cell phone service. If you meet the qualification criteria, then the next step to get your free cell phone service is to go to the Lifeline support website, and find a provider in your area who offers free cell phone service. On the site, you will find out which documents you need to provide, you will get instructions about how to change providers, and you will get help with technical issues. Verification is typically very easy for people who are already participants or benefit recipients of the programs listed above. This means that it will usually not take very long for you to get access to your new phone and to your wireless service. Typically, people who participate in the Lifeline free cell phone service program will get access to a basic smartphone that has calling and texting capabilities along with a limited selection of apps. The average plan consists of 350 talk minutes, unlimited texting, and 1 GB of high-speed data. 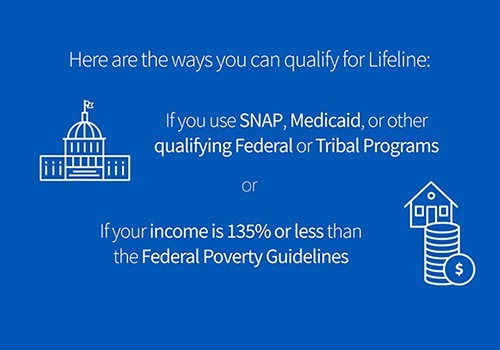 These benefits can be extremely beneficial for many people and if you are in need of free cell phone service, then you should strongly consider checking out the Lifeline program.